The Sculptor family of products provides real-time morphing technology based on Arbitrary Shape Deformation (ASD) for a wide range of 3D models including STL, point cloud data, CAD data, and analysis mesh data. Sculptor Morph leverages our revolutionary Arbitrary Shape Deformation (ASD) technology to provide real-time 3D morphing technology for STL data and point cloud data. Sculptor Morph Analysis utilizes our revolutionary Arbitrary Shape Deformation (ASD) technology to provide real-time 3D morphing technology for mesh based analysis data for CFD and CAE solvers. Sculptor + CAD is an add-on option for Sculptor Morph or Sculptor Morph Analysis to support real-time 3D morphing of CAD data. Sculptor + Optimize is an add-on option for Sculptor Morph Analysis to support automated simulation driven shape optimization. Sculptor+ Match lets you morph a baseline model to match a target model. This can be used to match deformed results from a different analysis or to match a design/analysis model to an as-built or as-is scan model. Sculptor Morph API is an API based library to support real-time 3D morphing embedded in your application. Current version of Sculptor Morph is 3.4 released June 2013. Sculptor Morph provides the user the ability to easily deform, move features, and modify stl and point cloud formats and can be extended by adding Sculptor + CAD or Sculptor + Match Version 3.4 enhancements include: significant improvements to ASD Volume creation and capability to "Apply Design to other Model". 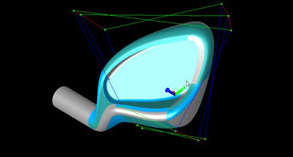 Current version of Sculptor Morph Analysis is 3.4 released June 2013. Sculptor Morph provides the user the ability to easily deform, move features, and modify stl and point cloud formats and can be extended by adding Sculptor + CAD or Sculptor + Match. Version 3.4 enhancements include: significant improvements to ASD Volume creation, capability to "Apply Design to other Model", improved OpenFOAM export, improved handling of StarCCM+ grids, improved Wind-US translator, and added Crunch translator. 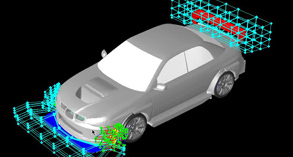 ASD volumes can be modified to fit the shape of your model through a "Shrink Wrap" operation which moves the control points of the Volume to the intersection with your model. Cartesian and cylindrical ASD volumes can be defined. Cylindrical ASD volumes are beneficial for shape modifications of near cylindrical objects and shape modifications that are radial in nature. Certain planes in the ASD Volume can be designated to act as "Super Planes" which prevent propagation of changes with no changes crossing the "super planes". 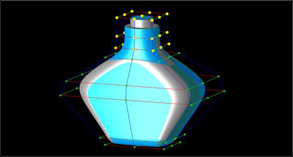 Current version of Sculptor+ CAD is 3.4 released June 2013. Sculptor + CAD lets you return you modified designs back to their CAD format or morph them directly. Sculptor + CAD is an add-on to Sculptor Morph and Sculptor Morph Analysis that provides the ability to import, modify, and export CAD data for most major CAD and standard based formats. 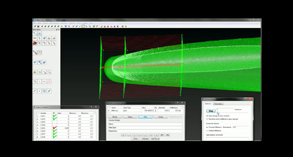 Sculptor + CAD supersedes the Back2CAD product previously offered by Optimal Solutions. 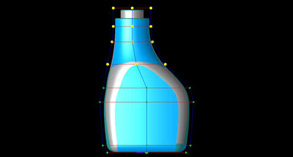 Current version of Sculptor+ Optimize is 3.4 released June 2013. Sculptor + Optimize links to most major third party optimization systems and also lets you quickly explore your design space using a built in Random Latin Hypercube or GRG optimization algorithm in one user friendly and powerful tool. Sculptor + Optimize is an add-on to Sculptor Morph Analysis that provides the ability to optimize shape by driving ASD modifications to achieve performance objectives. 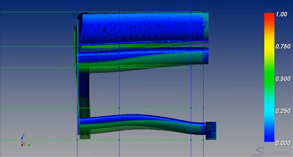 Sculptor + Optimize supersedes the Optimization Control Center product previously offered by Optimal Solutions. Version 3.4 enhancements include: analysis variables dialog and a new Response Surface function. Current version of Sculptor+ Match is 3.4 released June 2013. Sculptor+ Match lets you morph a baseline model to match a target model. This can be used to match deformed results from a different analysis or to match a design/analysis model to an as-built or as-is scan model. Shape Matching from Optimal Solutions gives you the ability to morph models to target shapes so they can be used in more than one discipline. Current version of Sculptor Morph API is 3.4 released June 2013. Sculptor Morph API is a library of function calls with an API interface designed to perform free form 3D shape modifications bringing the power of Sculptor Arbitrary Shape Deformation (ASD) technology into your application. © Copyright 2012 Optimal Solutions Software, LLC., All rights reserved.